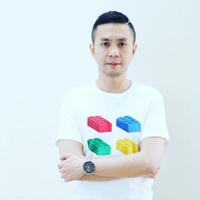 Keith Ng co-founded Gametize (with his best friend Damon Widjaja), a digital gamification platform for recruitment, learning & development, and marketing campaigns. Today, the platform is powering fun for 200,000 users today with almost 10 million challenge completions. His interests are in using game thinking and psychology to solve engagement problems, and new OBHR models/frameworks that increases “happiness” for the organizations. His “Richard Bartle’s Player Type” would be Explorer and Achiever; he hates skipping his Sunday futsal games, and plays Counter-Strike sometimes.